Nintendo just added two new outfits to Super Mario Odyssey’s post-game shop. Nintendo just added two new outfits to Super Mario Odyssey’s post-game shop. 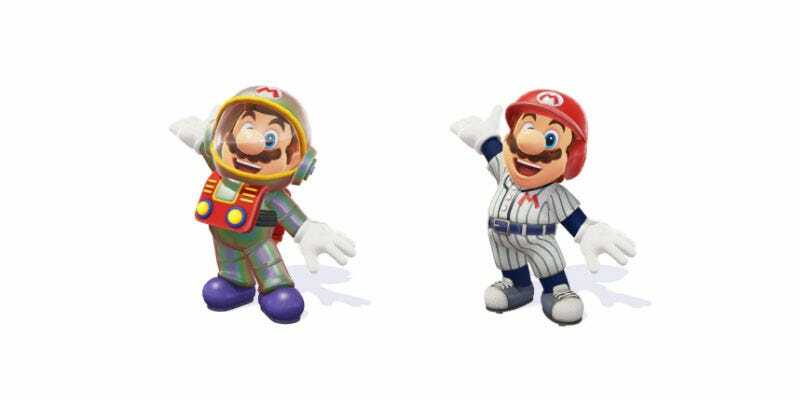 One is a baseball uniform, while the other is a nod to the Satellaview, a SNES add-on that let users download games using a modem.